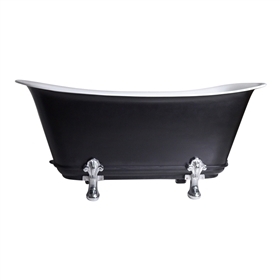 Here you can find our exquisite range of Chariot bathtubs. Based on the original design made by Rogeat in Lyon France in the 1850's, we have modernized it by making it a little wider for a more comfortable bathing space. The flared skirt on the base of the Bordeaux style Chariot tubs is from Penhaglions' own in house design department. 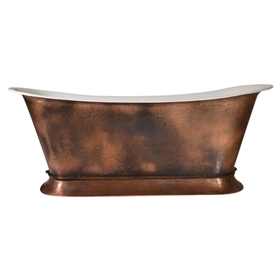 Our Chariot tub exteriors can be finished in all of our exotic 'Pure-Metal' coatings, including polished nickel, polished copper, polished stainless, polished brass and all the aged and burnished finishes we offer on our website. We really feel that these new Chariot tubs transcend the eras between traditional and contemporary.